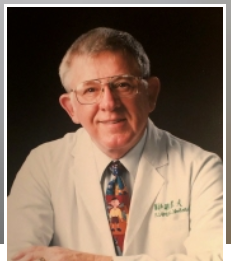 NOORDHOFF, DR. MERRILL SAMUEL Dr. Sam, aged 91, died in Grand Rapids, Michigan on Monday, Dec. 3, 2018, due to complications from Parkinson’s disease. Sam was born in Orange City, Iowa, the only child of Henry and Cynthia Noordhoff. He attended Northwestern College, Hope College (BA), and University of Iowa (MD). Sam also served two years in the US Navy. Sam married Lucille in 1954. They became missionaries of the Reformed Church in America in 1959, to Taiwan. In Taipei, Sam worked at Mackay Memorial Hospital until 1976, when Sam helped establish Chang Gung Memorial Hospital. Dr. Noordhoff is world renowned for his cleft lip and palate surgery techniques. In 1989, Dr. Sam established the Noordhoff Craniofacial Foundation, in Taipei, Taiwan. Sam had other hobbies which included photography, hiking in the beautiful Taiwan mountains, and early morning tennis. Dr. Sam is survived by his wife of 64 years, Lucille; his children, Nancy Lamberts (Robert) of Grand Rapids, Michigan, Samuel (Stacy Hall) of Dallas, Texas, Anne Lin (David) of Manhattan Beach, California, and Dirck, of Honolulu, Hawaii; 13 grandchildren; and four great grandchildren. A memorial service will be held Saturday, December 15, 2:00 pm at Central Reformed Church, 10 College Ave. N.E., Grand Rapids, with Rev. Steve Pierce and Rev. Stephen Vander Well officiating. Visitation will be at church from 1 to 2 pm prior to the service. Inurnment Central Reformed Church. In lieu of flowers, please make contributions to Dr. Sam’s foundation, The Noordhoff Craniofacial Foundation at www.lovemakeswhole.com. Lucy and family would like to express their thanks to the many caregivers and family members who have assisted Sam in his final days. An additional service will be held in Taipei at a later date. “Love Makes Whole”.